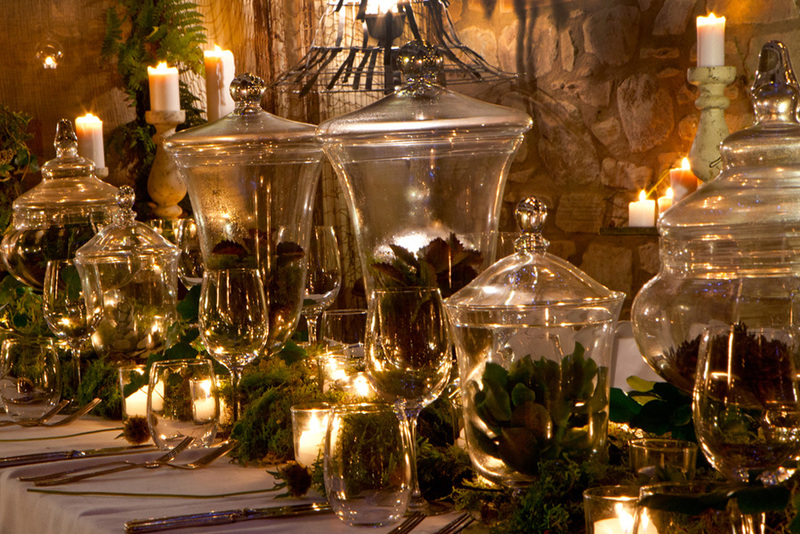 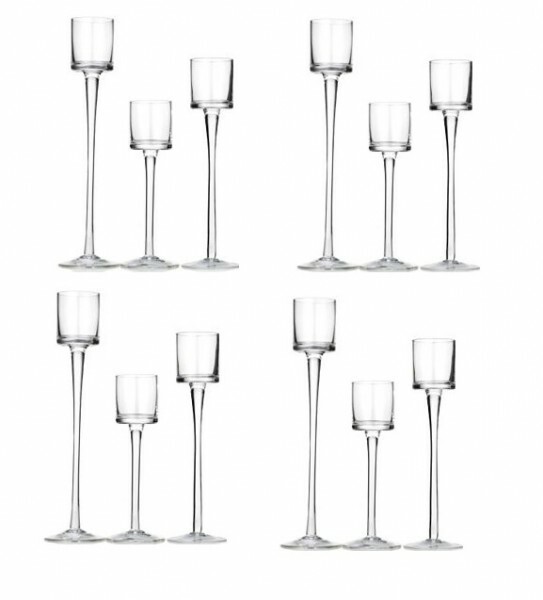 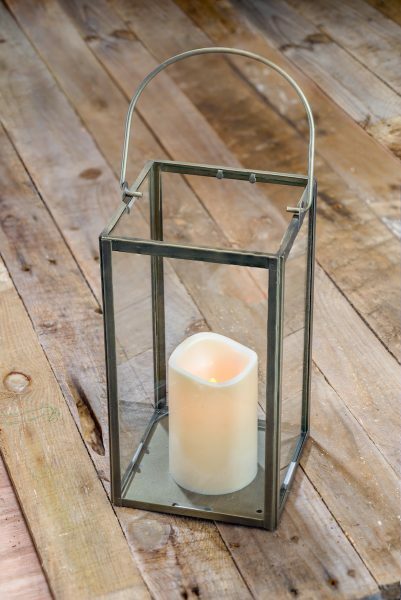 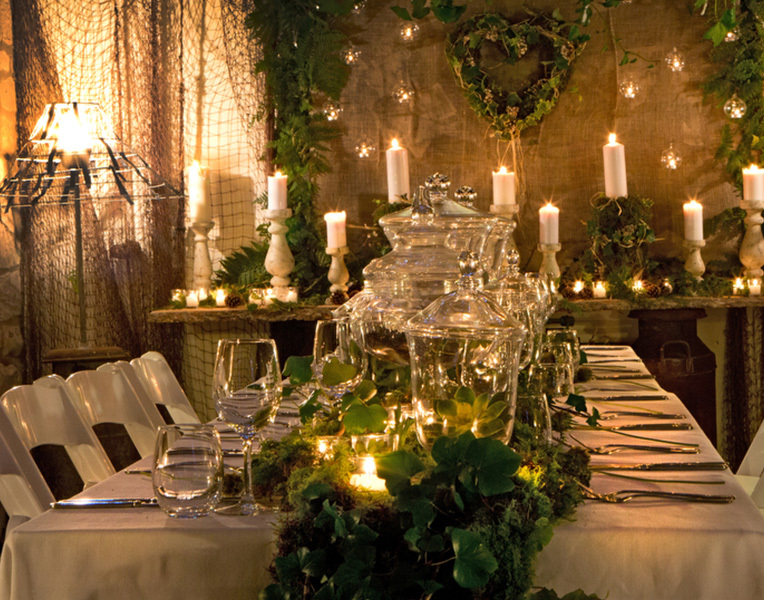 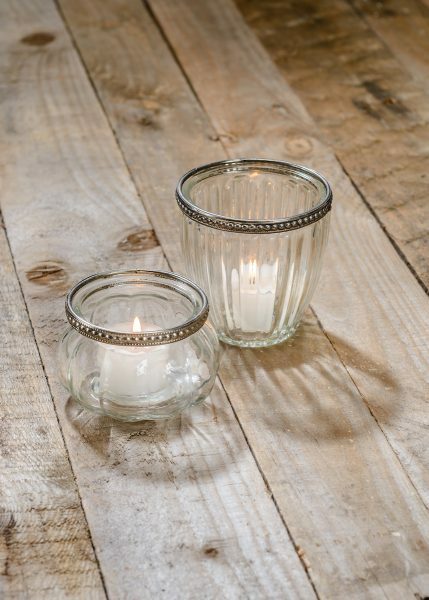 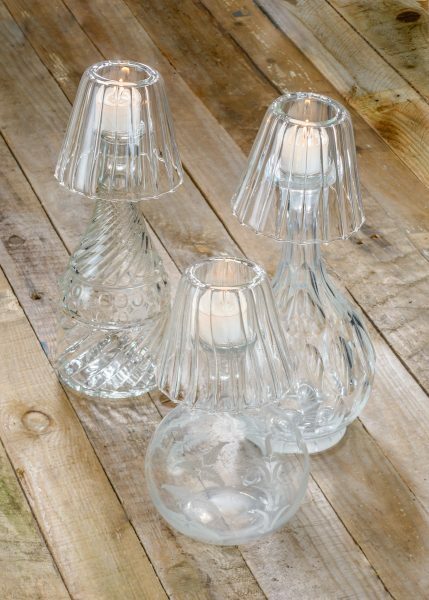 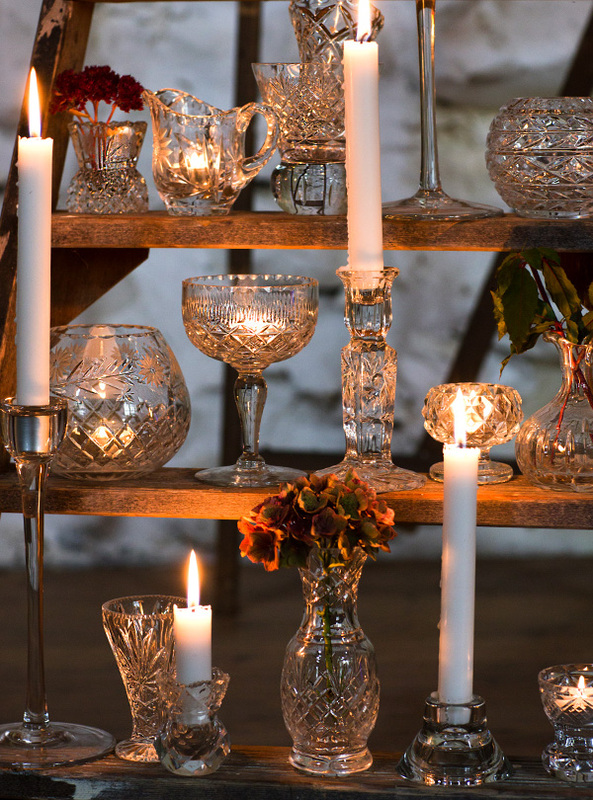 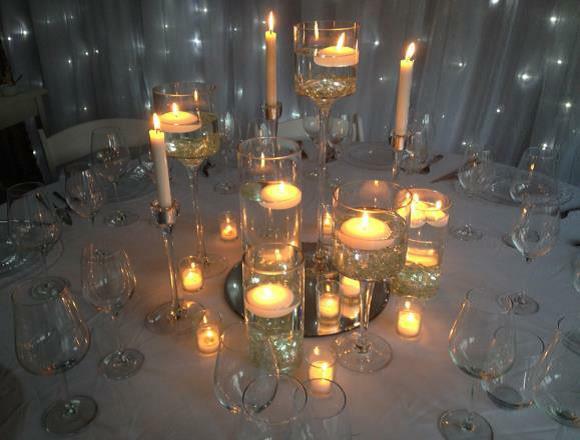 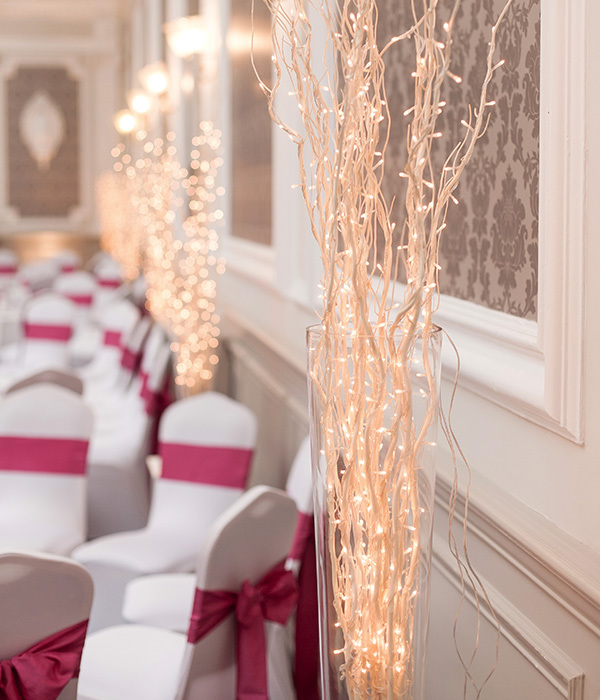 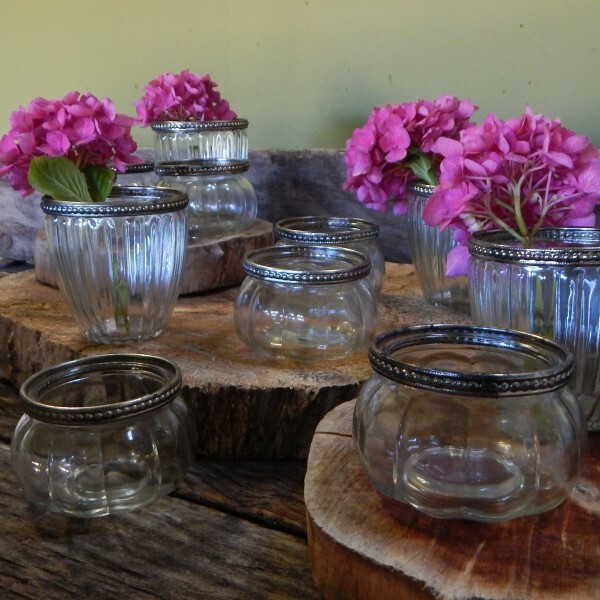 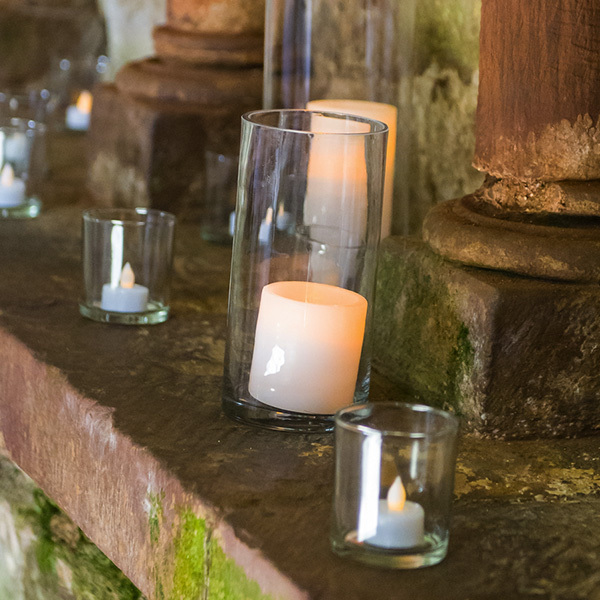 Wedding glassware brings a lovely sparkle to the table, and works beautifully with candles, giving lots of romantic shimmer, especially under subtle lighting. 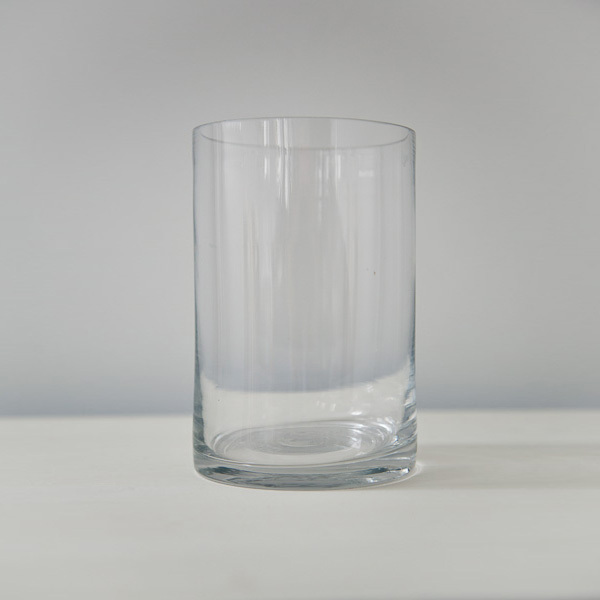 But glassware isn’t just about glasses! 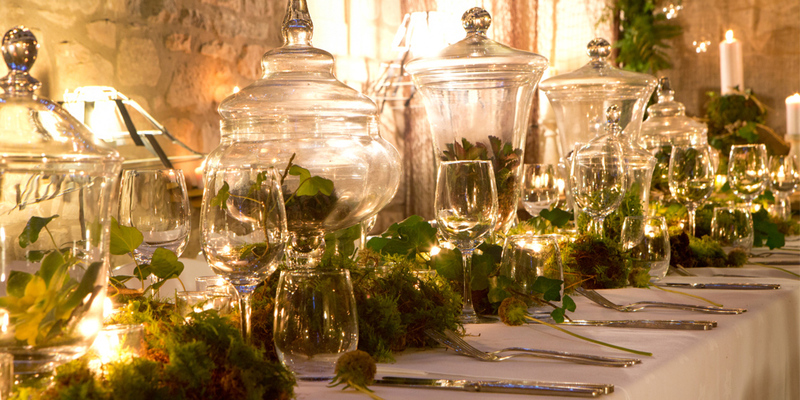 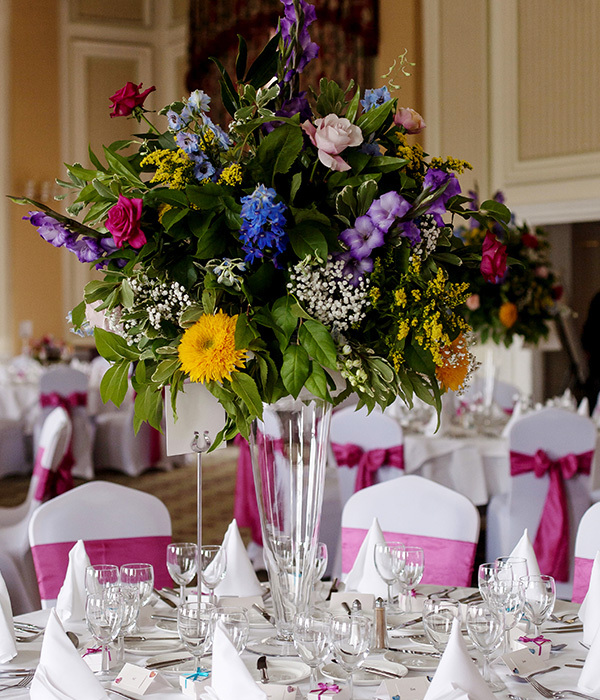 Nowadays, weddings are using all sorts of pretty glassware to decorate their tables and add a note of elegance and creativity to the room. 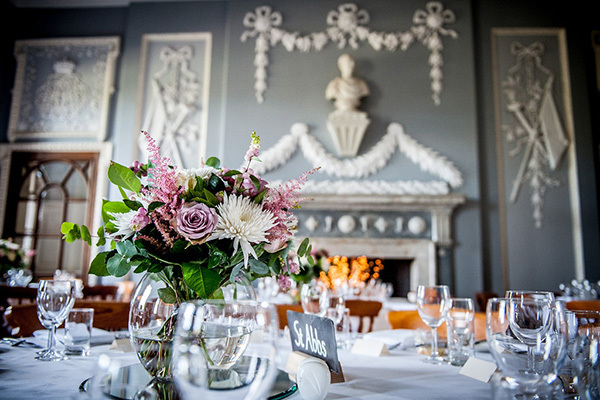 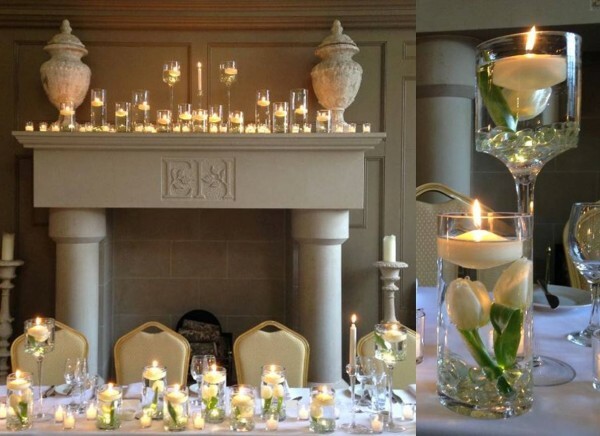 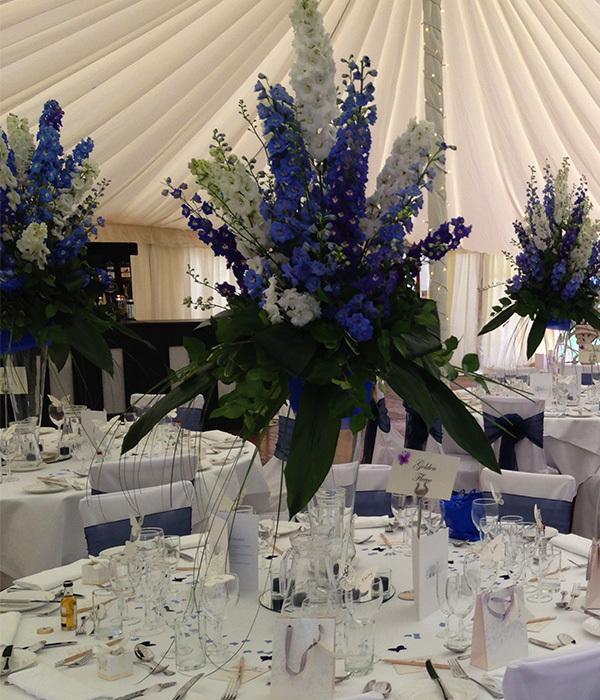 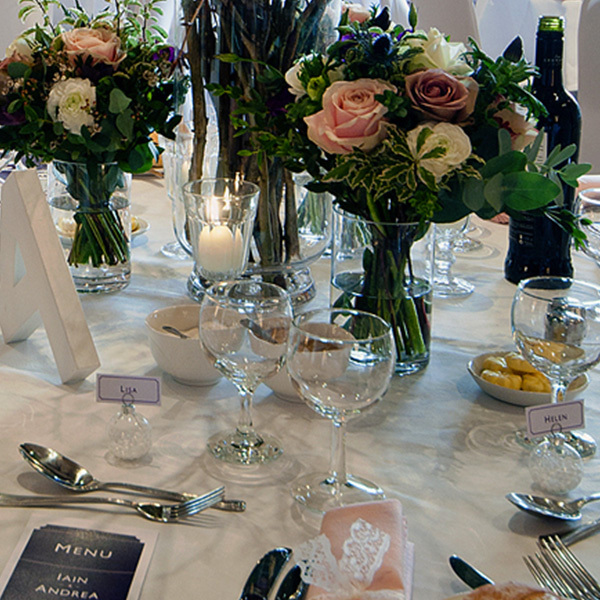 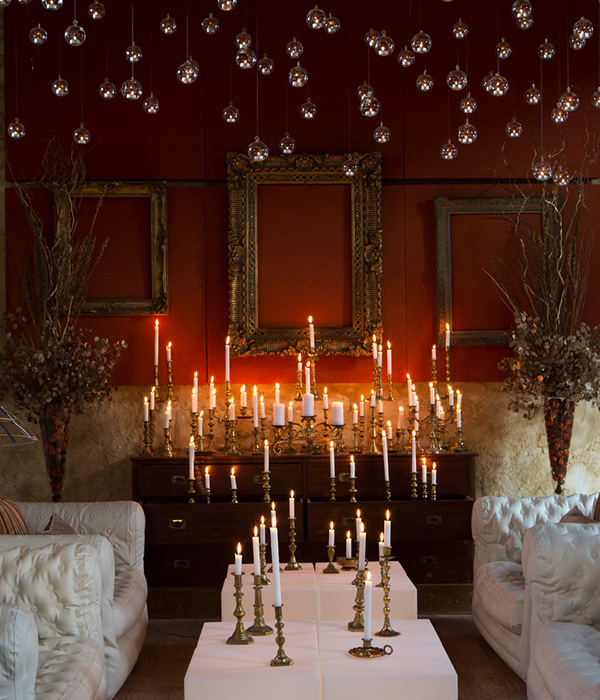 Crystal glass candlesticks are, of course, lovely for a vintage or traditional themed wedding, but it doesn’t stop there! 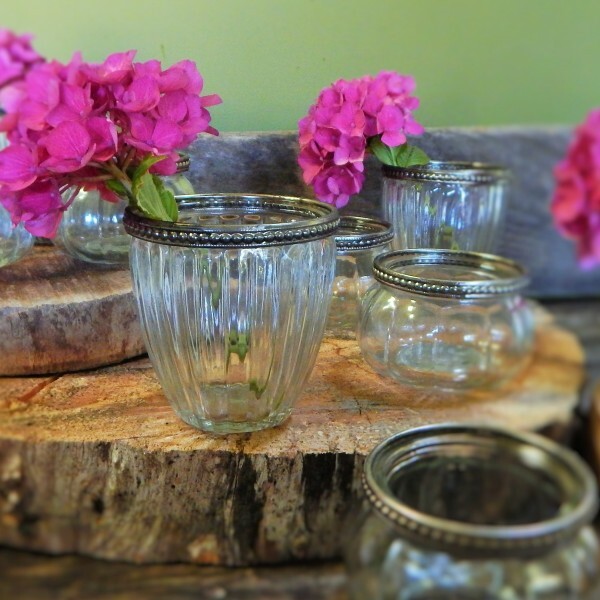 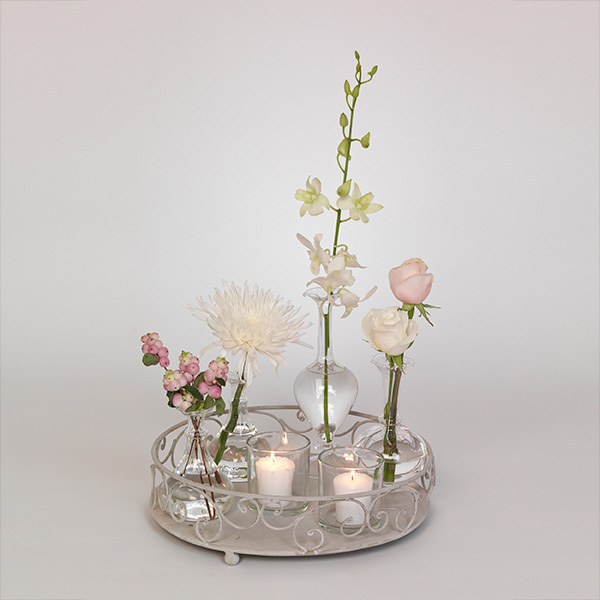 How about a glass tray of vintage perfume bottles – perfect for delicate wedding flowers! 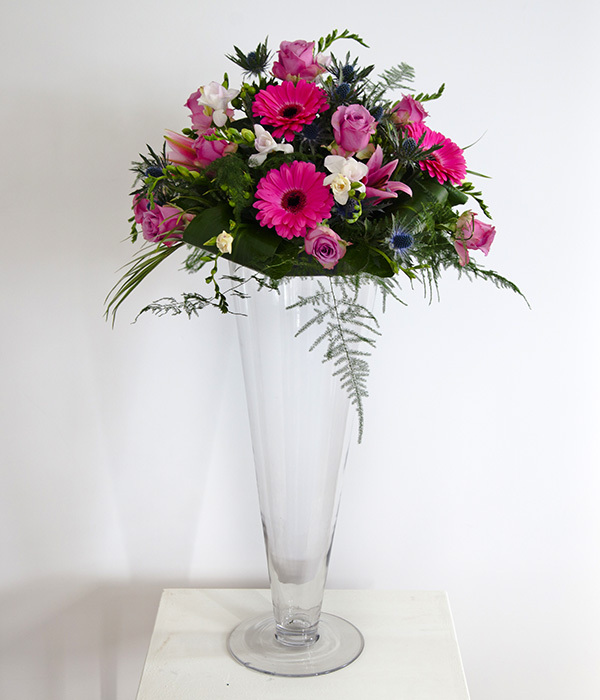 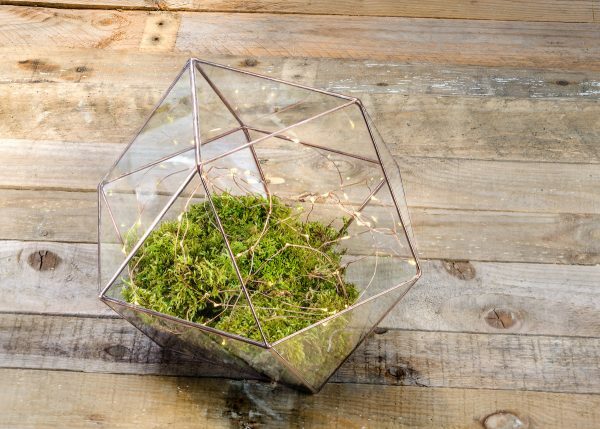 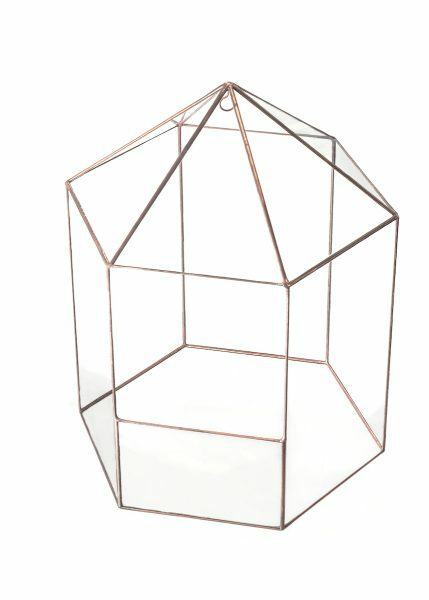 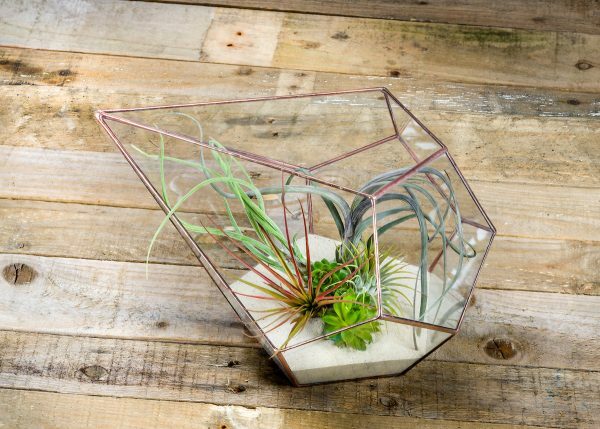 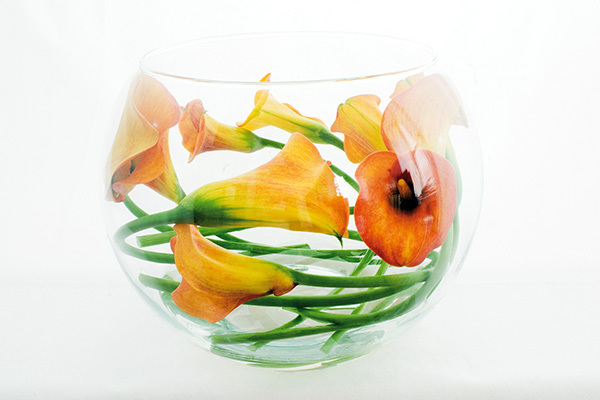 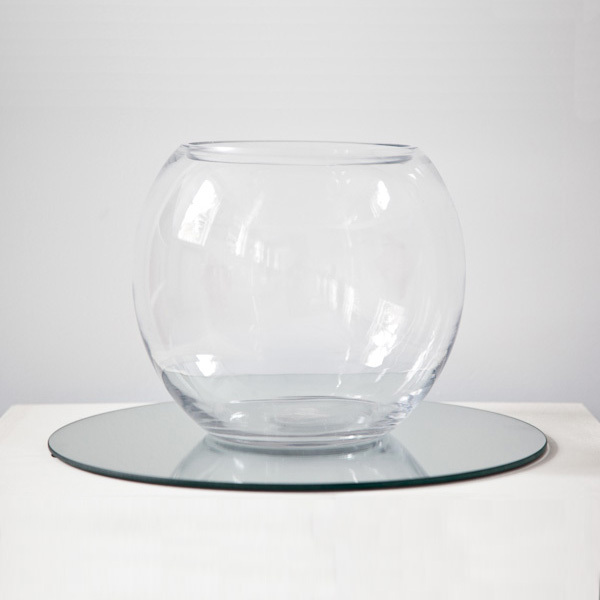 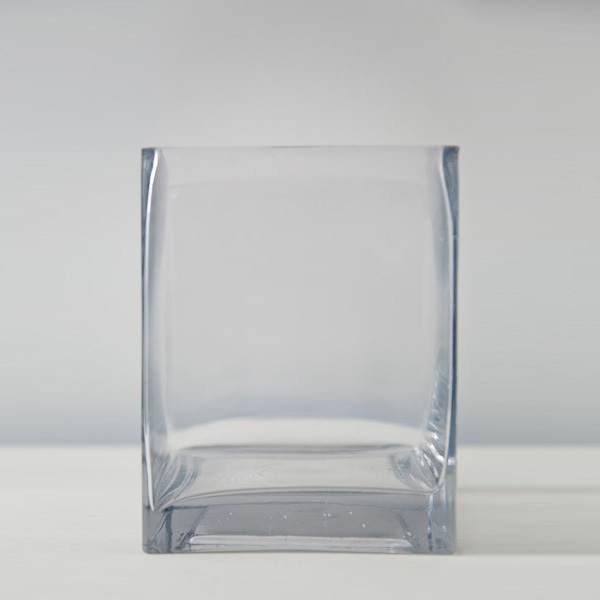 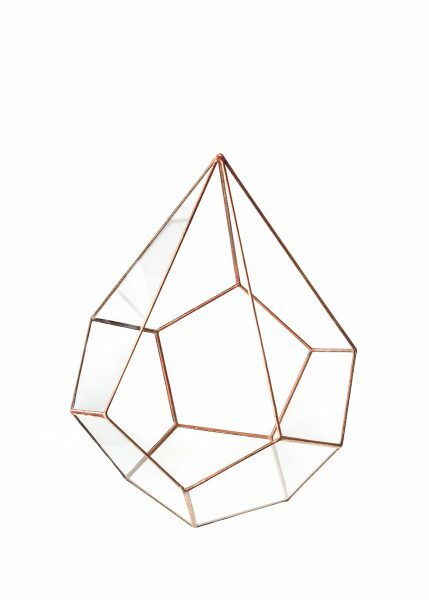 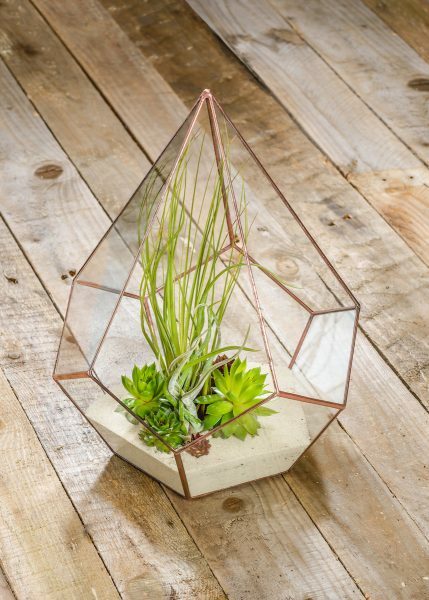 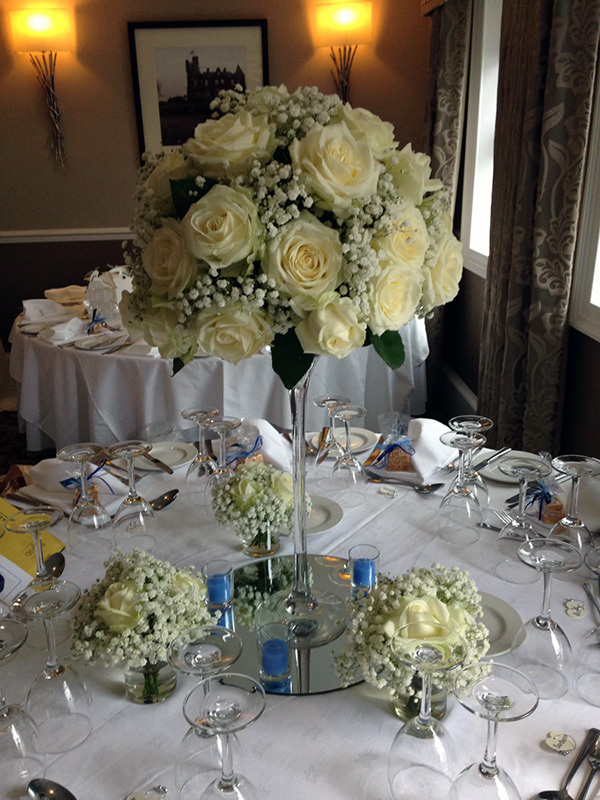 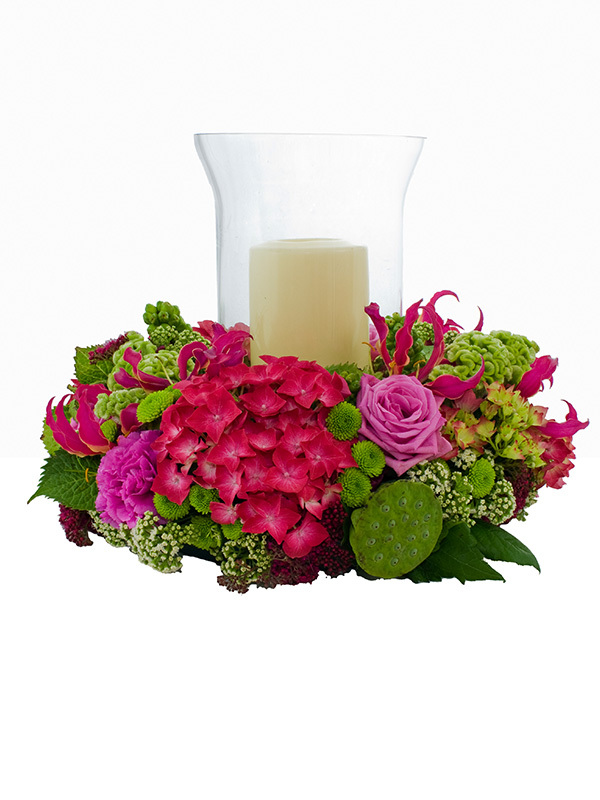 Or a bold goldfish bowl or cube glass vase for minimalist or statement flowers? 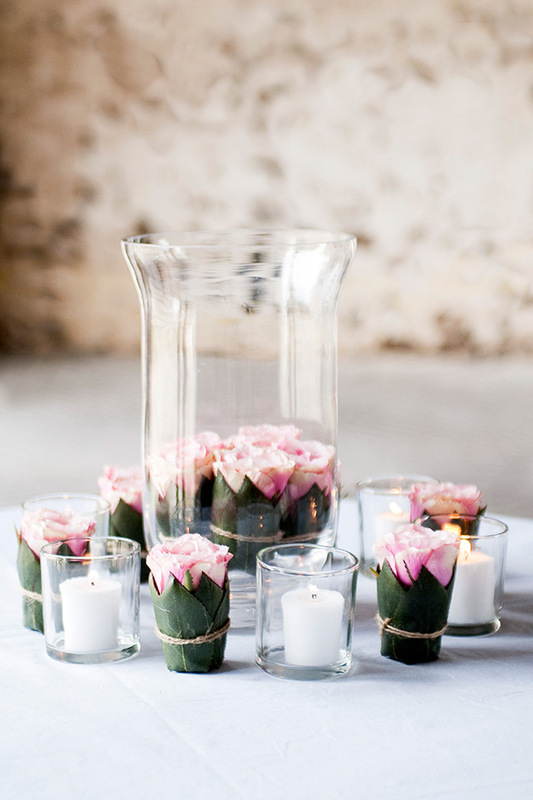 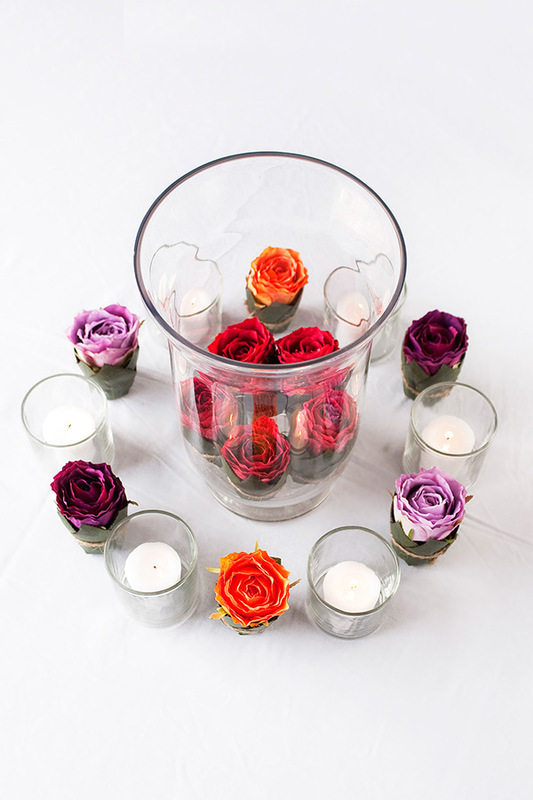 Hurricane vases or cylinder vases also make pretty containers for candles, especially if you use lots of them dotted around for romantic pinpoints of light. 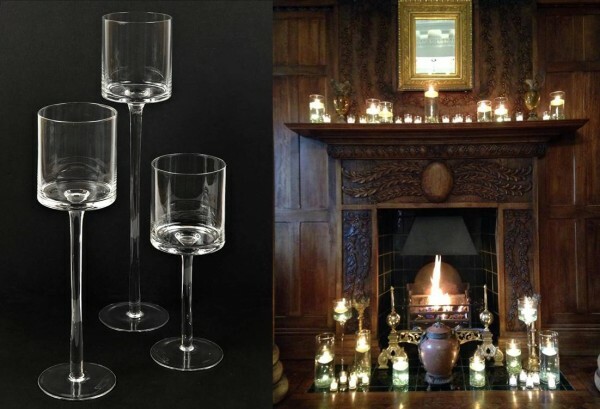 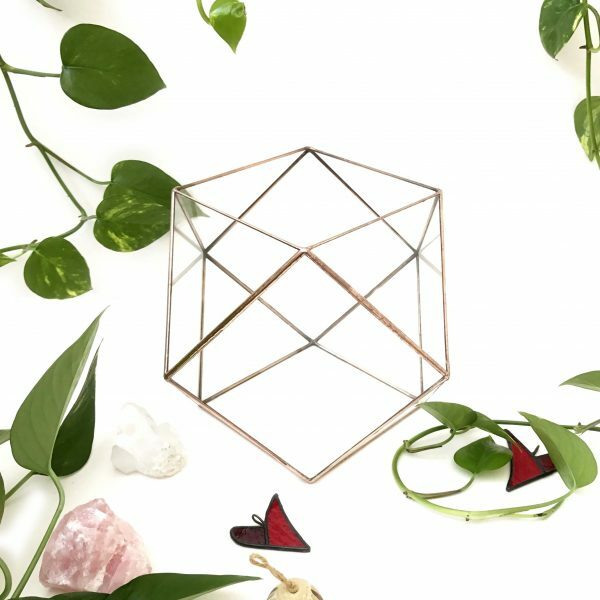 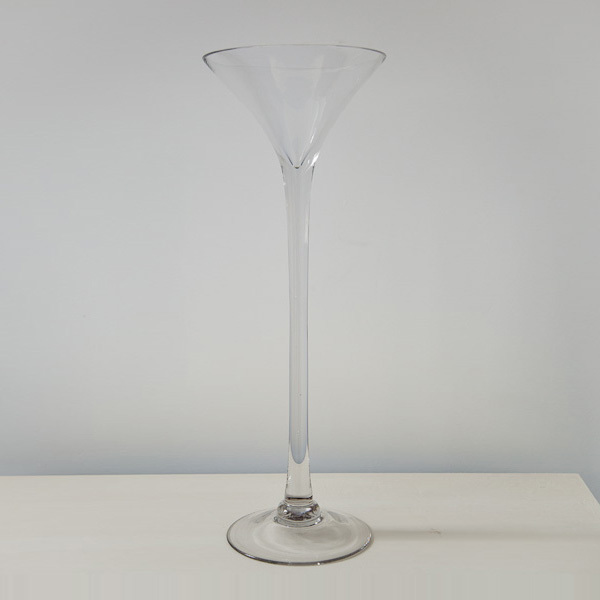 More unusual objects in the Get Knotted glassware collection of props for hire include mirror trays, martini glasses (use as vases! 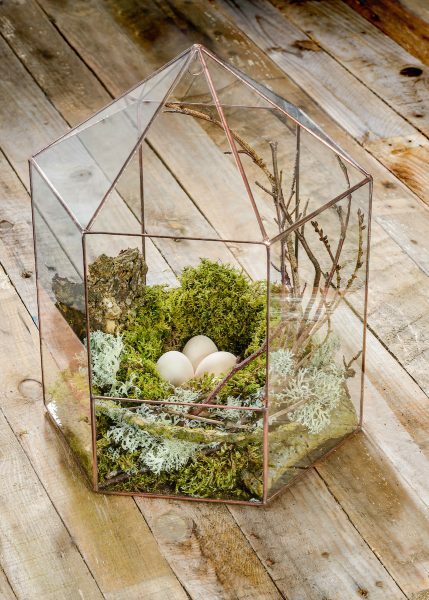 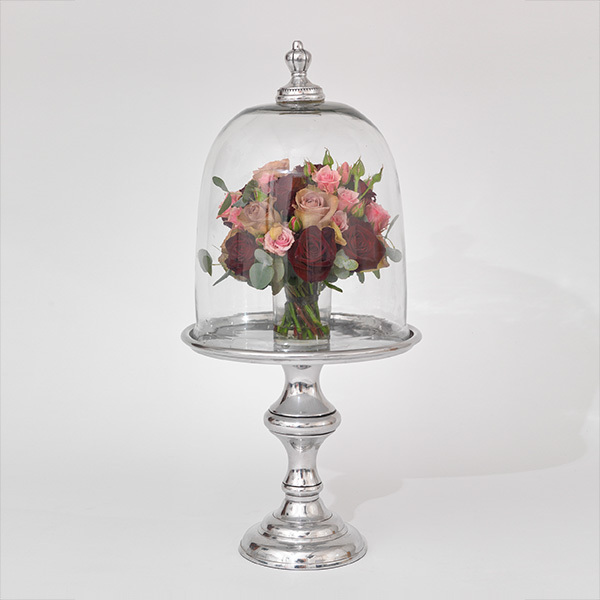 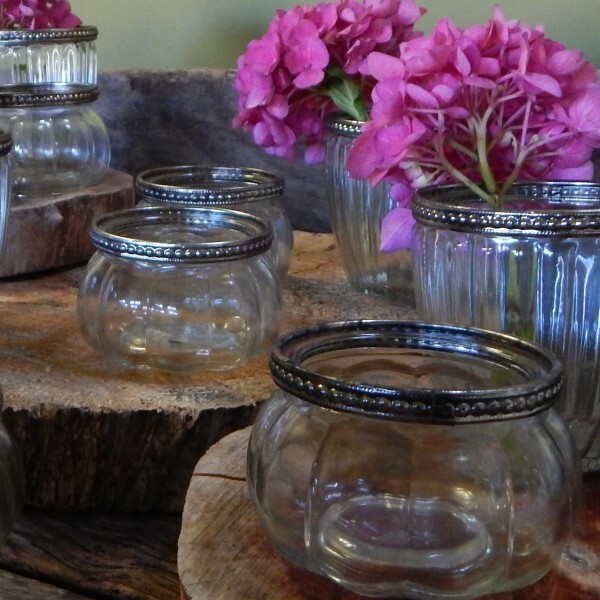 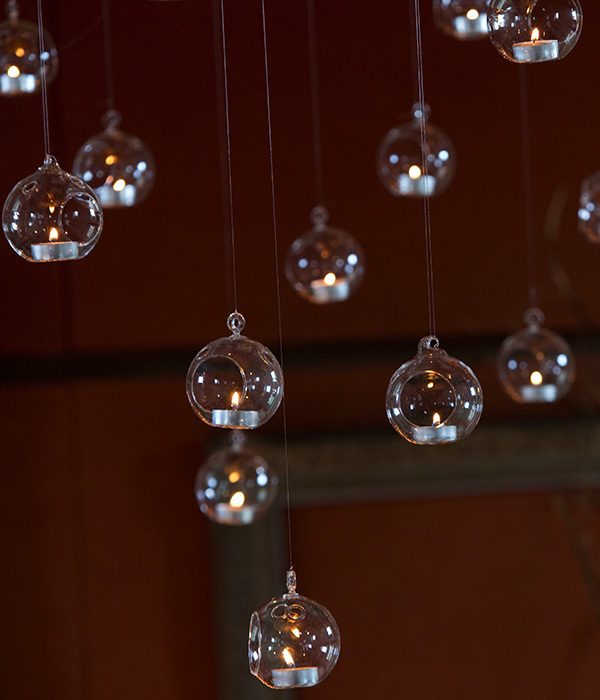 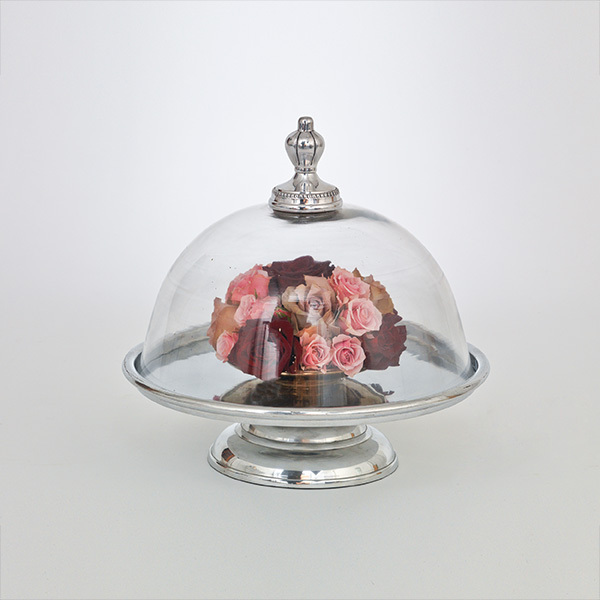 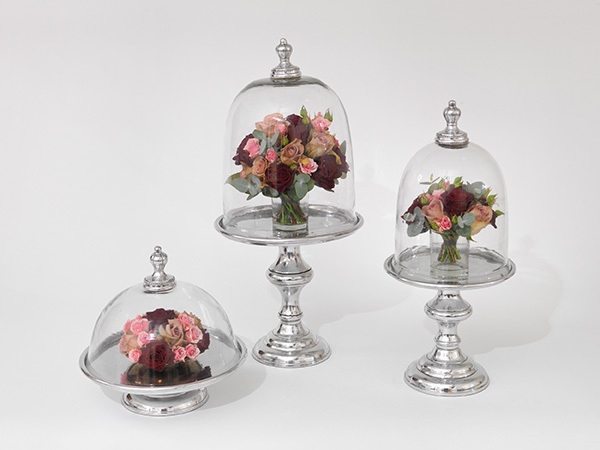 ), glass domes, glass baubles and magnificent vintage apothecary jars. 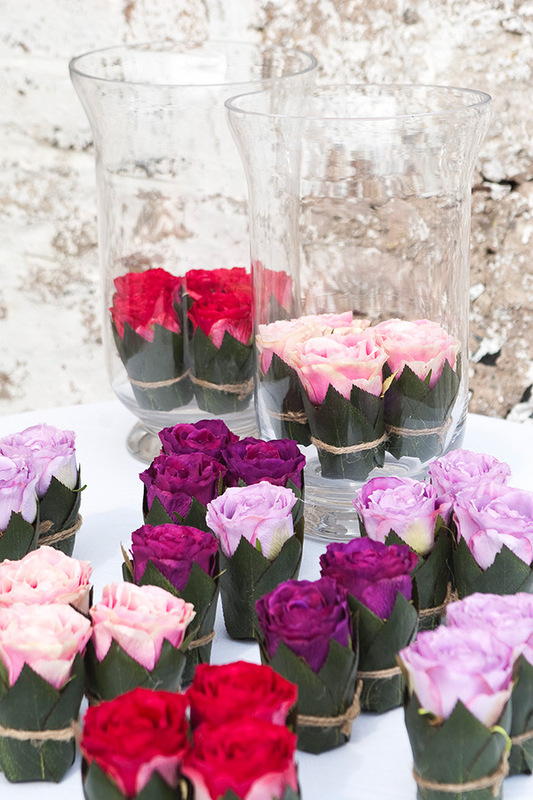 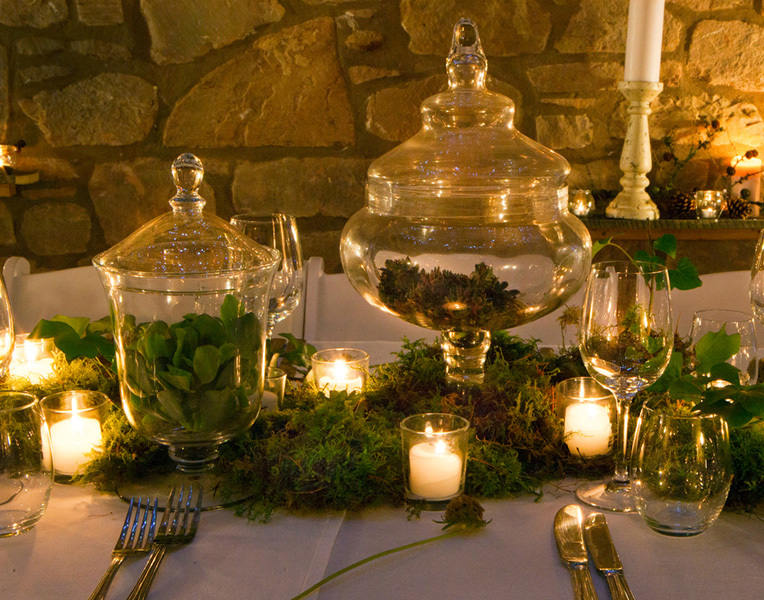 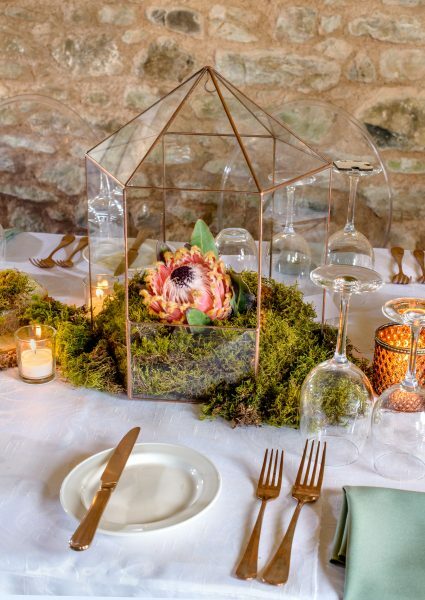 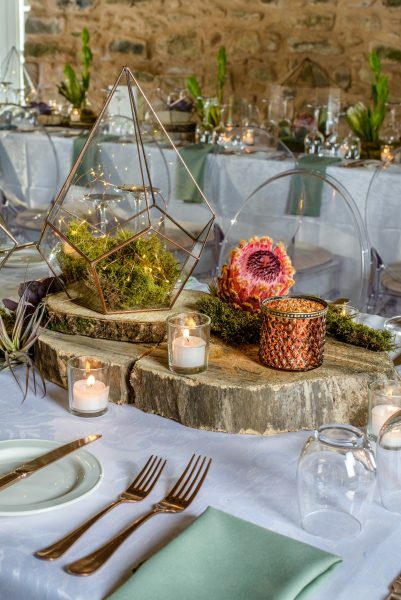 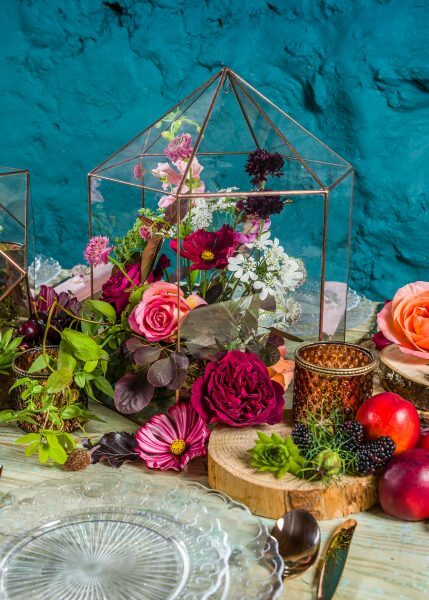 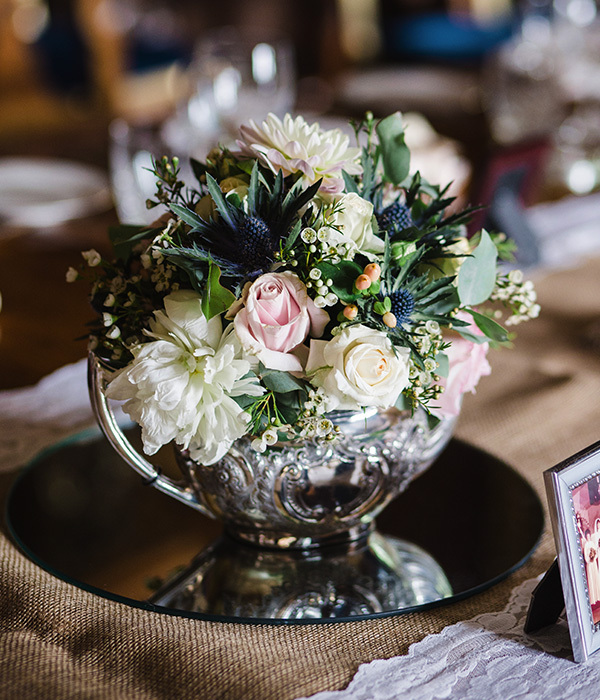 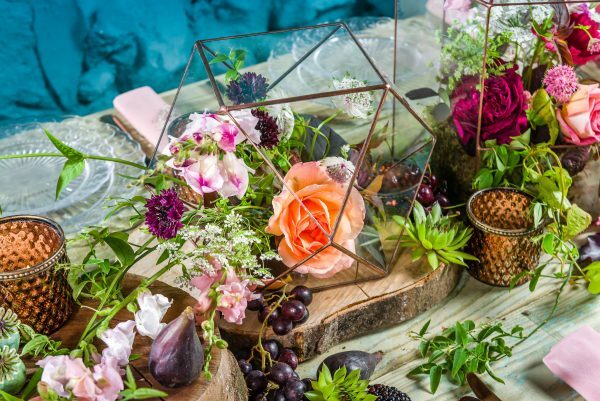 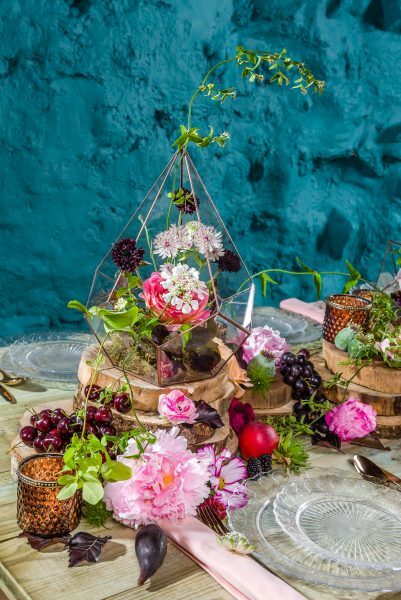 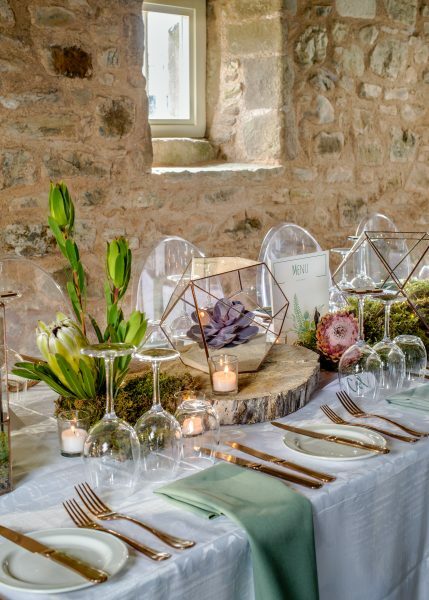 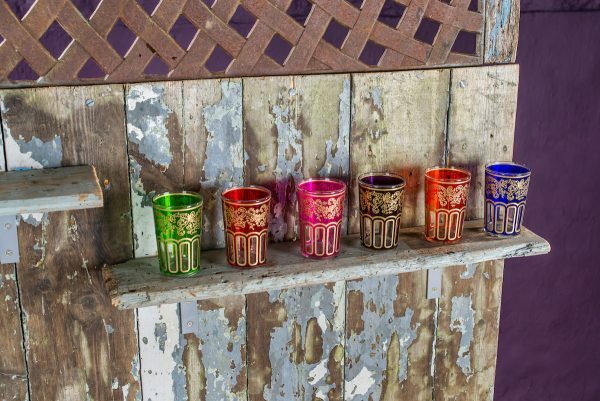 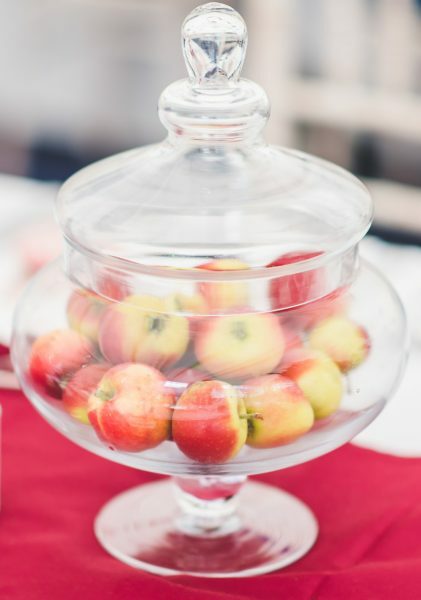 Glassware is timeless and understated, but can be arranged in an infinite number of creative ways to bring an original note to your wedding décor.